The Incident Command System is a standardized management system that meets the demands of small or large emergencies or non emergencies. If you would like to volunteer, you must complete the ICS classes to better understand the structure of the response system. These classes can be completed online at the website for the Federal Emergency Management Agency (FEMA). 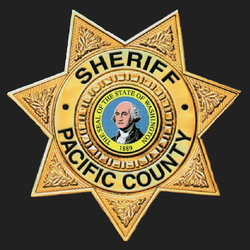 Volunteers will need to complete courses 100.B, 200.B, 700.A, and 800.B with proof of completion to volunteer with any division of the Pacific County Sheriff's Office. Additional requirements may be necessary for individual divisions. To learn more about the volunteer guidelines, read through the "Volunteer Policies" document below.